From reviews of previous editions: A remarkable achievement concise but informativeNo geneticist or physician interested in genetic diseases should be without a copy -- American Journal of Medical Genetics Ever since the international Human Genome Project achieved its extraordinary goal of sequencing and mapping the entire human genomewith far-reaching implications for understanding the causes and diagnosis of human genetic disordersprogress in the field has been rapid. In the fourth edition of the bestselling Color Atlas of Genetics, readers will get a full overview of the field today, with an emphasis on the interface between fundamental principles and practical applications in medicine. The book utilizes the signature Flexibook format designed for easy visual learning and retention, and is invaluable for students, clinicians, and scientists interested in keeping current in this fast-moving area. New topics in the fully revised fourth edition of this highly praised atlas: * Genetic signaling pathways involved in genetic disorders* DNA repair systems* Genomic disorders and genome-wide association studies* Cancer genomes* Ciliopathies, neurocristopathies, and other groups of causally related disorders* Epigenetic changes in certain disorders* Illustrated outline of human evolution With almost 200 stunning color plates concisely explained on facing pages, and including useful tables of data, a glossary of terms, key references, and online resources, this book makes every concept clear and accessible. 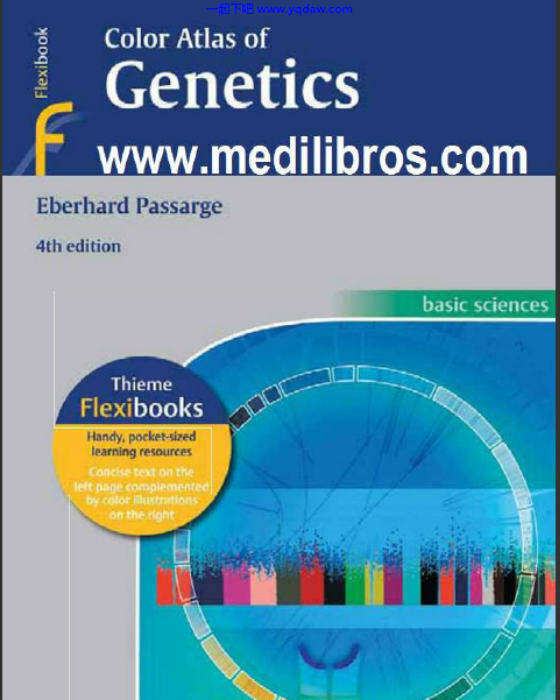 It is an excellent introduction to genetics and basic genomics for students of medicine and biology, as well as an ideal teaching aid and refresher for investigators in any field of medicine or science. GMT+8, 2019-4-23 02:15 , Processed in 0.350613 second(s), 67 queries .